I’ve said it before, I LOVE dressing up! AND making my family dress up along with me. I’m currently sporting a mehhh 74.6% bare minimum cooperation rate with the other 3, but I’ll take it! 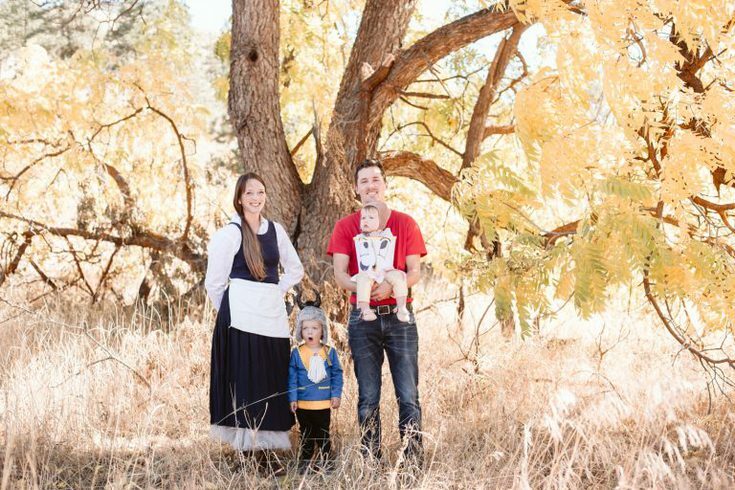 This year, in honor of my absolute favorite Disney Princess movie of all time, we did Diy Beauty and the Beast Family Halloween Costumes! Since the release of the new real life Beauty and the Beast movie, it has become my most re-watched/background movie of the year. I’ve always loved the brunette, country, bookworm princess and have frolicked many a childhood day dressed and singing just like her. When I realized that in my closet I had the makings of her entire villager outfit (princess at heart ya’ll) it was a done deal and I knew I had to make each family member part of the Beauty and the Beast crew! I’ve loved dressing up since I was a little girl. It was a staple at all my friend’s and relative’s houses to have a dressup box brimming with the “latest fashion” from 30 years prior, silky dresses, Disney look-a-like outfits, and oversized heels. So it’s no secret that I’ve been a fan of fun family halloween costumes over the years! Ps. If you’re looking for books that inspire the love for kids to dress up and use their imaginations these were favorites of mine as a girl: In Grandma’s Attic and the Secret Attic Club. You’re now going to take a walk through the history of our Halloween costumes! Complete with old grainy flip phone pictures! So really, this might be more of a laugh at our impoverished creativity than an inspiration, but hey! I’m all about saving you some money! My husband and I had our first kiss at a Halloween party in college. 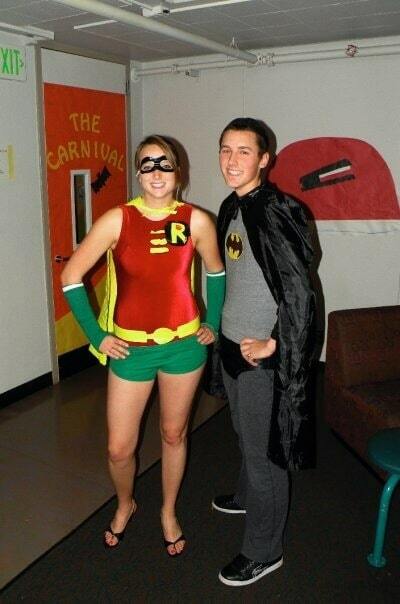 I had asked him to dress up as the Batman to my Robin and it was pretty hilarious. You miiiight want to tone down the costumes to be more “family friendly,” (Hey! I was in college!) but they’re pretty easy to piece together! Read moreFun Family Halloween Costumes!